I've meant to update as we go along, but I missed our two year anniversary of living in this home a couple weeks ago. Better late than never. Many of you have been with us on this journey, remembering when we bought this farmhouse/farm and when we celebrated a year. 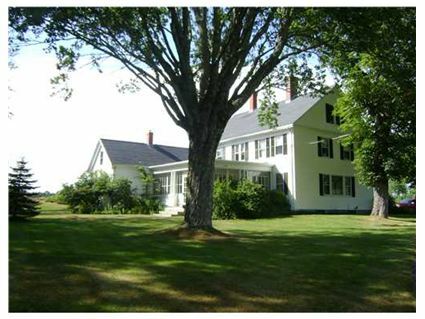 Long story short, it's an 1880s Southern Coastal Maine area estate that has been in the family for decades. We're the new owners. We're bringing it back to working order, one day at a time. It's been two years now. The projects have slowed down a bit and we've been settling into living in this amazing home. Some of the pictures are the same from last year's update and some are what we've updated in the last year. We invite you to come on in and enjoy our homestead and see some of what we've been up to in the last year. This picture is the one that was listed on the MLS system. Not my picture, but a picture I remember fondly, as I was dreaming of making this place ours. And now through the rooms. And our great mouser and non mousers. And of course, our two littles who are learning, growing and thriving. Our little family of four making a homestead out of this old home/farm/land. From winter to summer and back to winter again. Thankful for this homestead here. And the life we share living here. And thanks to you who have followed along, offering support, suggestions and provided inspiration. Blogging isn't my job, it's my hobby and it's fun to share with you. Don't forget, I'm on facebook too, https://www.facebook.com/BornImaginative. Two successful years on this farm, cannot wait to see what year 3 brings us. So many ideas in the works, we shall see what another year brings us. Such a lovely home and beautiful family! The interior of the house has some really nice woodwork and architectural features. I am so jealous of your root cellar and your barn!! Loved the tour! Thank you. Happy 2 year anniversary. Such a beautiful family and home. Glad you shared. you have my dream home and land! So beautiful!!!! Happy 2 year anniversary! Thank you for sharing. Beautiful pictures. Great post, don't know how I missed it the 1st time!! !